Your cars check engine light is designed to let you know there is a problem with one of your car's computer monitored systems. This will be a sensor or a mechanical failure of some kind. 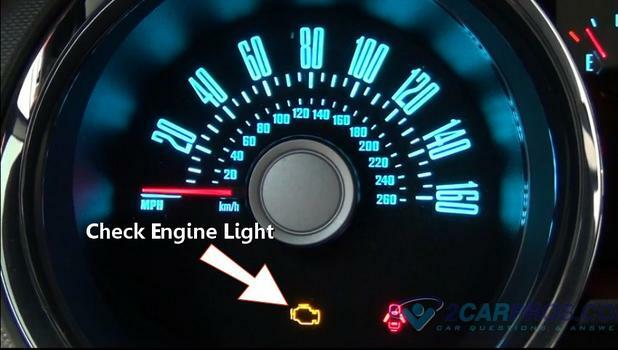 The check engine warning light is also known as a service engine soon light or a MIL (malfunction indicator light). Fortunately though your car's computer system is programmed to identify the problem by producing a trouble code which will point you in the direction of the problem and determine if the car is safe to drive or not. 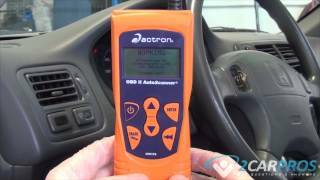 By using a simple code reader such as an Actron CP9185 which is available from Amazon starting at $35.00 (US) anyone can gather these codes and fix the problem themselves. 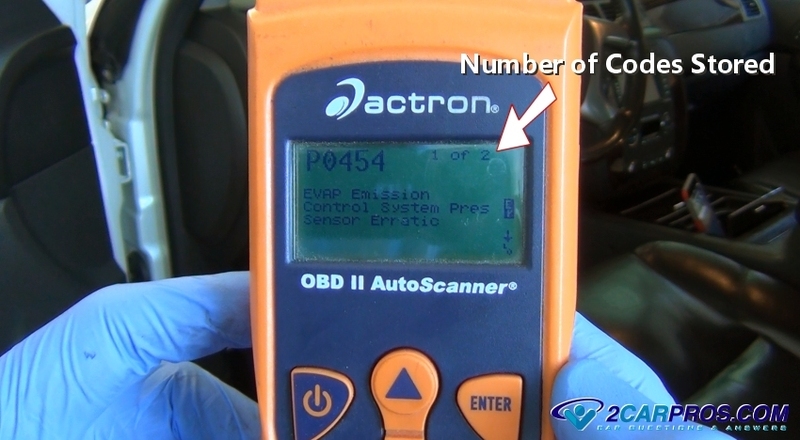 This scanner will read engine, transmission and emission codes. If you want to read airbag safety, traction control and ABS codes you must upgrade the scanner to the more expensive model such as the CP9680 for about $300.00. There are two types of reader tools which define different levels of information which is: Retrieving the troubles codes, and reading the live data stream of each sensor which is typically reserved for mechanics. Don't let this scare you though because nine times out of ten the problem is a simple sensor, spark plug, ignition coil or injector replacement. 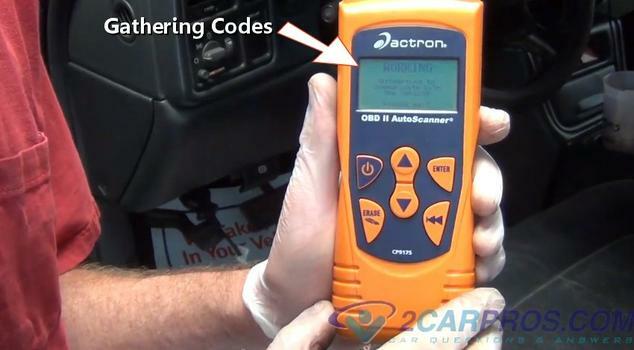 In this guide we will show you how to gather codes and show you the most popular reasons the check engine light will come on, but first how to read the codes. No matter which tool you choose or the codes you want to read they all will be accessed through the ALDL "D" shaped 16 pin connector located under your car's dashboard on the driver’s side in plain sight in most cases. 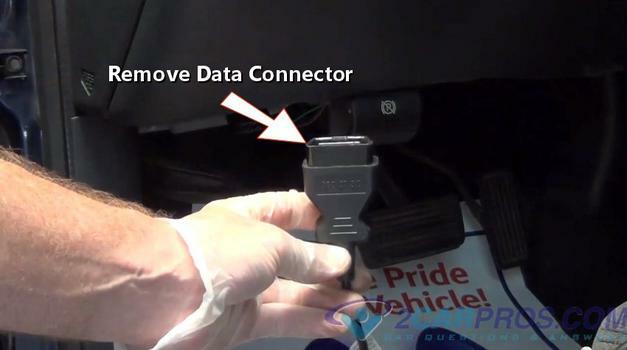 This serial connector is used to transfer the code data from the vehicle’s computer to the code reader or scanner so it can be easily displayed and read. 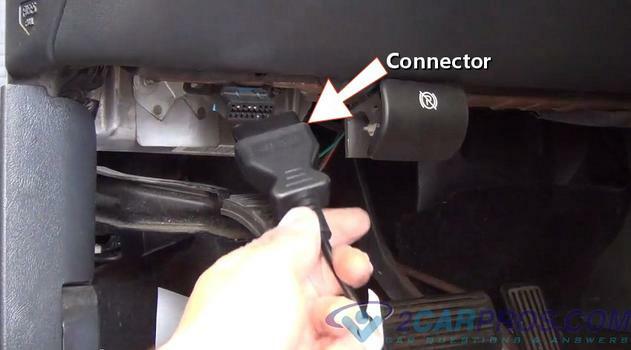 If you cannot find your car's connector it should be mentioned in your owner's manual. Sometimes the connector can be behind a small plastic trap door. This is mostly in Mercedes Benz and BMW cars. Begin with the vehicle's engine off with the transmission in park. 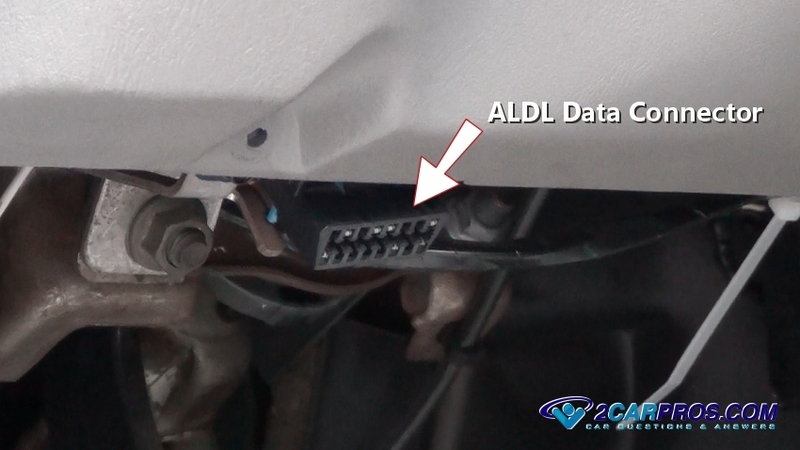 Connect the Code Reader: Open the driver's door and locate the ALDL connector. Then securely insert code reader plug onto the connector. Be sure the connector is in good working order and that the plug stays securely in place. Activate the Code Reader Tool: Insert the ignition key and turn it to the on position. The dash warning lights will come on and the gauges will start to work, do not crank or start the engine. 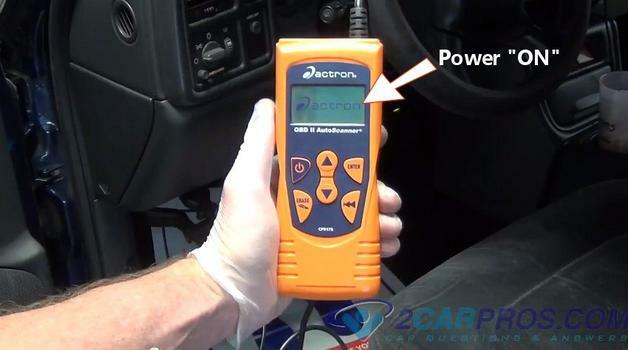 If you accidently start the engine simply turn the engine and ignition switch off and disconnect the scanner, then re-plug it in again to restart the procedure. 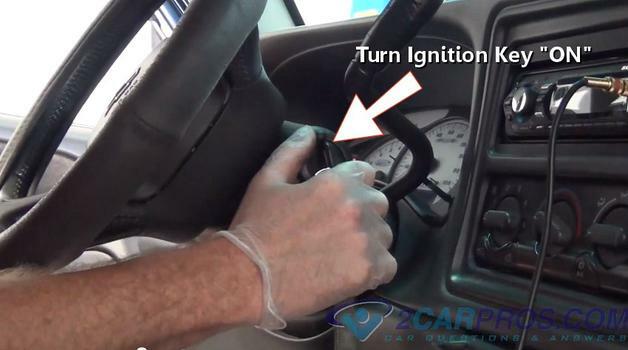 Some cars have a two-step ignition system. 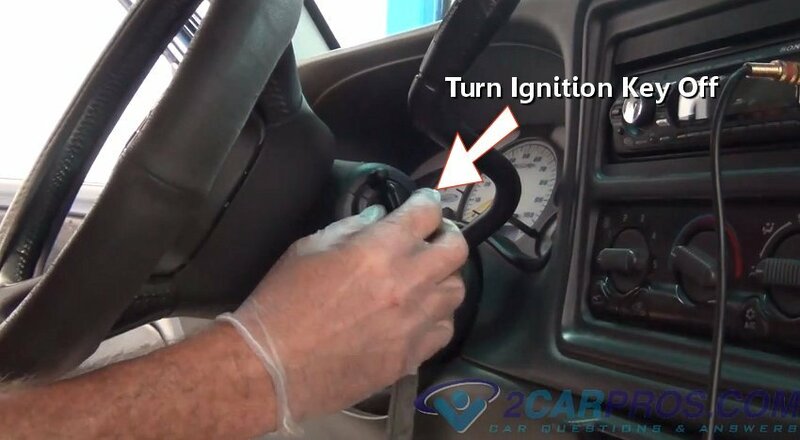 The first step will not illuminate the warning lights and the tool will not work. You want to have the dash warning lights on to start the reading process. The code reader will then power up and display the welcome screen. If the screen does not come on wiggle the reader connector while in ALDL data port. Sometimes the pins can become a little corroded because of moisture which will make the connection questionable. Wiggling the connector will help break through this rust and create a proper connection. If the reader still doesn't power up retry the reader on an alternative car to make sure it is working. Read the Codes: After the welcome screen appears follow the prompt which will include: Read Codes, Clear Codes, MIL Status, I/M Data, Freeze Frame Data and Code Review. While using the up and down arrows select the "Read Codes" option. This will allow the reader to configure a connection to the automobiles computer and accept the error code or codes to be displayed on the reader. This will initiate the code reader's gathering code sequence while it communicates with the cars computer which can take up to 20 seconds to complete. The computer will then deliver all trouble codes stored in its error memory and transfer them into the code reader for display. If the reader or scanner "hangs" on the "working" screen for over two minutes turn the ignition key off and unplug the reader from the ALDL connector. Wait a few seconds and then plug it back in to the ALDL port and turn the ignition switch back on to restart the process. What sometime happens is the data gets "stuck" and the operation needs to be rebooted much like a normal home or work desktop computer. Within a few seconds the reader will display the trouble code or codes. If there are multiple codes stored it will say 1 of 2 or 1 of 3 which is an indication of more than one code is present. This will be displayed at the top of the screen on the right hand side. Use the up and down arrow buttons to toggle between the codes so you can identify each code and start the repair or have an idea of what the problem is when you take your vehicle into the repair shop. On the main display screen will be the code along with the definition of what the code is which denotes the system or sensor that has malfunctioned. In this case a PO336 code is telling you that the crankshaft angle sensor has failed or has failed intermittently which causes the engine to stall or not start entirely. 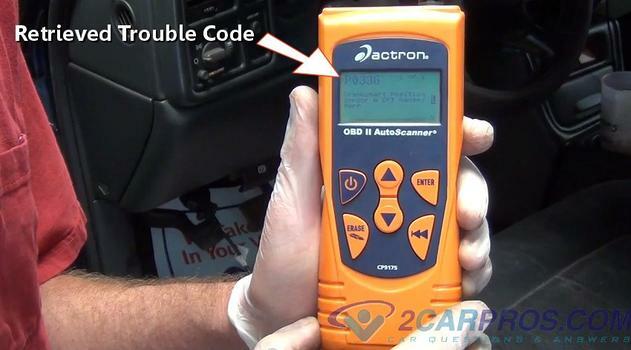 Here is a chart of OBD2 trouble code definitions. Occasionally you will have problems gathering the codes and the code reader will display a code P1000 which means the code gathering was incomplete. 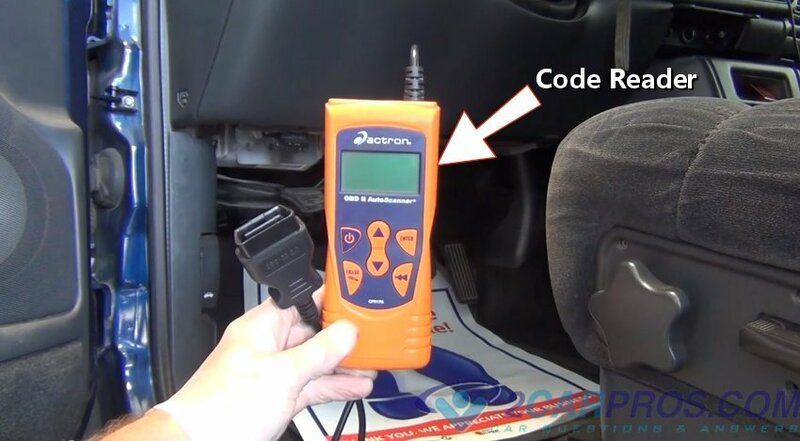 If you feel the code was set by error such as a sensor was disconnected during a repair or service while the ignition key was turned on or if a repair has been made you want to erase the code follow the prompt to clear the trouble codes. Remove the Code Reader: To remove the code reader from the car, simply turn the ignition key to the off position. The instrument cluster warning lights should be off. Grasp the connector firmly and pull gently outward to unplug the code reader connector and separate it from the ALDL data port. Replace the cover over the port if equipped to prevent any corrosion causing moisture that could cause damage to the connector. 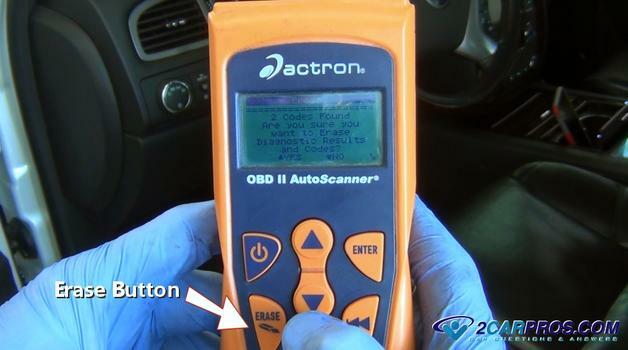 Once the code reader or scanner is disconnected find a cool dry place to store it in such as the top drawer of your tool box, that's where most mechanics keep theirs. 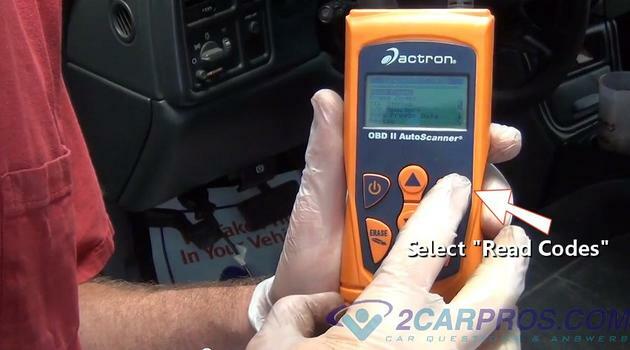 If you have any questions about a code scanner or a check engine light, please visit our forum. If you need car repair advice, please ask our community of mechanics who are happy to help. Our service is always 100% free.